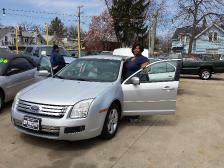 Congrats to Bree from Lorain, Ohio on becoming part of the Byright family! 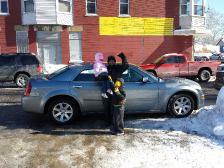 This is from Alexis who came to us all the way from Amherst to get her 2013 Dodge avenger! BYRIGHT IS THE PLACE TO COME!!!!! THEY WAS SO WILLING TO WORK WITH ME AND MY SITUATION. GARY ALONG WITH EVERYONE ELES IN THE OFFICE WAS SO FRIENDLY, I WOULD RECOMMEND MY FRIENDS AND FAMILY TO COME HERE. I CAME IN LOOKING TO GET A CAR WITH A LITTLE DOWN PAYMENT AND DID NOT HAVE THAT MUCH TIME TO SPEND. 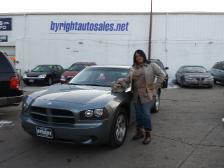 THANKS TO GARY AT BYRIGHT AUTO SALES I LEFT THE LOT SAME DAY WITH A GREAT CAR AND STILL HAD LITTLE BIT TO SAVE THANKS BYRIGHT. GREAT PLACE TO BUY A CAR! I HAD AWFUL CREDIT AND WAS ON A TIGHT BUDGET, JIMI WORKED WITH ME ON A VERY GOOD DETAIL. HE WAS COMFORTING AND VERY NICE. HE DID NOT BOMBARD ME INTO A BAD DEAL LIKE MOST CAR SALESMEN. 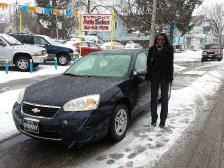 NOW I HAVE A WONDERFUL CAR THAT I CAN AFFORD. 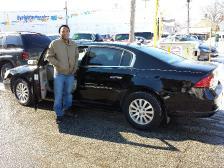 GARY WAS VERY PLEASENT AND QUICK EVERYTHING WENT IN A ORDERLY FASHION. THANKS BYRIGHT AUTO SALES.. 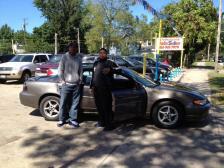 I HAD A GREAT EXPERIENCE AT BYRIGHT THANKS TO JIMI AND SAM, I DIDNT THINK I WOULD FIND MY FIRST CAR SO FAST. I REALLY LOVE IT.. AND I WILL DEFINITLY REFER PEOPLE TO BYRIGHT! 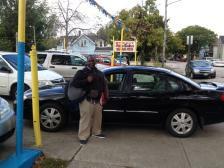 JIMI AT BYRIGHT AUTO GOT ME RIGHT INTO THE CAR I REALLY WANTED. I THINK THAT THEY HAVE GOOD COSTUMER SERVICE AND THEY RESONABLE WITH THERE PRICES. GREAT TEAM OF GUYS HERE THANKS! 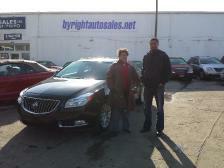 SHOPPING AT BYRIGHT WAS A VERY GOOD EXPERIENCE THEY HAD EXACTLY WHAT I NEEDED, AND WORKED WITH ME ON GETTING FINANCING. 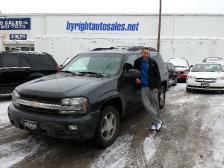 AFTER LOOKING AROUND FOR MONTH I FOUND MY BEST EXPERIENCE AT BYRIGHT AUTO SALES!!! I HAD AN OVERALL GREAT EXPERINCE HERE AT BYRIGHT TODAY. JIMI WAS AN AWSOME SALESMAN. HIM AND SAM ABOVE AND BEHOUND TO MAKE SURE I GOT THE CAR I WANTED AND MY PAYMENTS WERE EXACTLY WHERE I NEEDED THEM TO BE. THANKS GUYS! MY EXPERIENCE HERE AT BYRIGHT WAS SMOOTH AND GREAT. JIMI TOOK REALLY GOOD CARE OF ME AND HAD NO HIDDEN AGENDA. 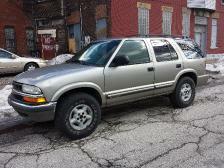 THIS WAS MY FIRST VEHICLE PURCHASE AND I AM GLAD TO START ESTABLISHING CREDIT! 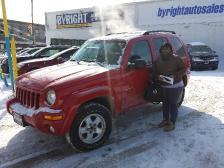 MY EXPERIENCE WITH BYRIGHT WAS EXCELLENT I CAME IN AND WALKED OUT WITH THE CAR I WANTED THEY WERE GREAT. SAM AND JIMI ARE WONDERFUL AND VERY HELPFUL. 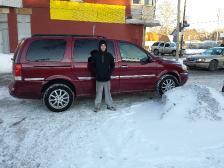 I WOULD RECOMMEND THEM TO ALL OF MY FRIENDS TO COME AND GET A CAR. MY OVERALL EXPERINCE HERE AT BYRIGHT WAS AWESOME!! 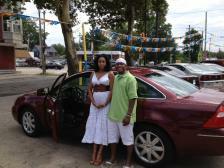 MY HUSBAND AND I WOULD RECOMMEND ANYBODY TO BUY A CAR HERE. 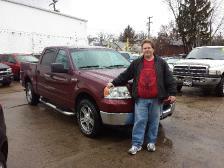 THE SALES MAN GARY WAS VERY WELL TO US AND GOT US IN TO THE TRUCK OF OUR LIKING WITH AFFORDABLE OPAYMENTS AS WELL. THANKS EVERYONE HERE!! MY OVER ALL EXPIERENCE WAS AWESOME. I'M VERY PLEASED WITH JIMI AND SAM... 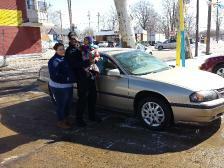 THEY WENT ABOVE AND BEOND TO GET ME IN MY NEW CAR. VERY AFFORDABLE, SAFE AND RELIABLE. THANKS GUYS!!! 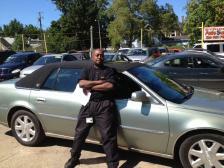 I WAS REFERRED TO BUY RIGHT AUTO SALES BY A FRIEND AND I WAS AMAZED AT THE SERVICE. THERE ARE NICE FRIENDLY PEOPLE THAT WORK THERE AND THEY MAKE SURE YOU FEEL COMFORTABLE IN EVERY DECISION YOU MAKE. 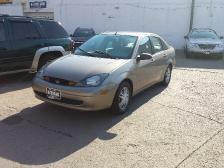 I WOULD RECCOMOMEND THEM TO ANYONE IN NEED OF A NICE RELIABLE CAR WITH PEOPLE WHO ACTUALLY CARE. JIMIM AND SAM ARE REALLY NICE GUYS WHO MAKE THE PROCESS SMOOTH DONT JUST TAKE MY WORD SEE FOR YOURSELF YOU DONT WANT TO MISS OUT. 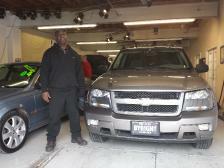 HERE AT BYRIGHT I HAD A GREAT EXPERINCE WITH PROFFESIONAL SERVICE AND AWSOME CUTOMER CARE. 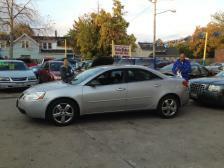 GARY, JIMI, AND SAM WORKED AS A GREAT TEAM TO GET ME INTO THE CAR I REALLY WANTED WITH VERY AFFORDABLE PAYMENTS. THANKS GUYS! What a great team of people!!! 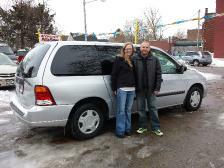 Purchasing a van to fit our family went very smooth!! Great buying experience we will truly remember!  MY EXPERIENCE WITH BRIGHT AUTOMOTIVE jIMI WAS VERY HELPFUL WITH FINDING SOMETHING IN OUR PRICE RANG THINGS WORKED OUT FIND WE STAYED IN OUR RANGE WE ARE SASTIFIED WITH OUR DECISION WE WILL SEND REFRENCE TO THIS COMPANY ANYTIME. We had a great experience at byright we would recommend them to everyone!! 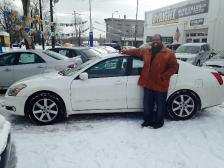 Scotty was very helpful, his sales experience was amazing. Got us right into our new car with the assistance of Sam. Very nice guys!!! 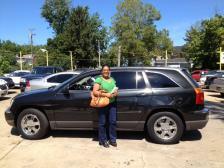 August 2nd, Shalisa dropped in, looking for a safe and simple car for her family. 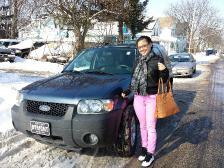 The car she chose was the 2005 Ford 500. 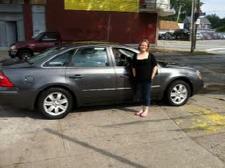 A simple but a near - luxury car both safe and cost - effective sedan made well for a family. 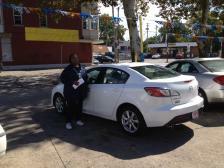 She found the car she wanted and was extremely happy with the cost. 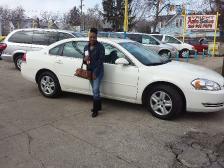 Thanks for your business Shalisa! Hope to see you in here again soon! 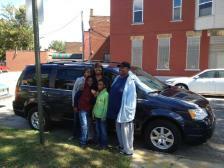 The Harris family came in last week to look for a good gas mileage and spacious SUV for their family. A they found what they were looking for! 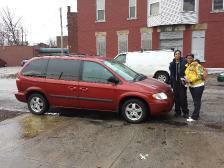 This 2005 Chrysler Pacifica was just the right match. 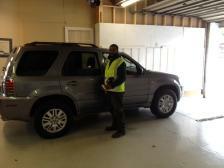 The inside is extremely spacious and the gas mileage runs at about 30 mpg highway! 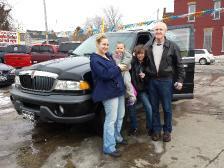 When this family came back into our store, to tell us what they thought, they emphasized the fact that their grandchildren "did not want to get out of the car" they loved it so much! 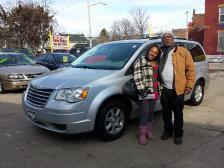 Thank you Harris family for your business and friendship. We are excited to see you again soon! Thanks again! 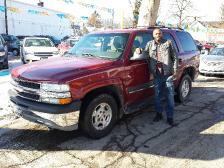 I was greatly impressed with the service and dedication I was shown during the entire buying process. I would strongly suggest this lot to all of my family and friends! I truly feel I was treated with honestly and respect and will definitely look to them if I'm ever in need for a future vehicle!!!! 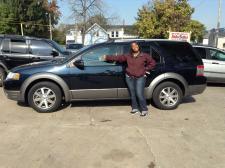 I loved the way Scotty help me to get a car asap and the way he pleasantly treated me. It was easy and fast, with great conversation. Very NICE people here!!! 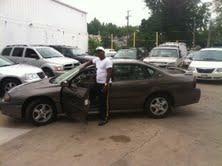 On August 24th Elijah came into our store looking for a more classy sort of car. 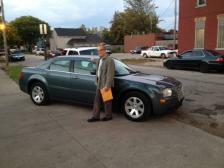 We pointed him to the direction of the few nicer cars on our lot. 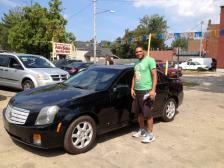 He picked the 2006 Cadiliac DTS! 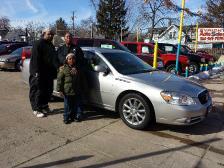 Fit exactly what he was looking for in a car and he was extremely pleased with this one. The price, the quality, and the safty played a huge role in his decision. Like I said earlier, quite a few different cars fit the description he was looking for, but, this one, he lied most. Just shows that not only do we have cars for the regualr Joe on the street, but also, high class long lasting cars, for a generally good price. Thanks Elijah! 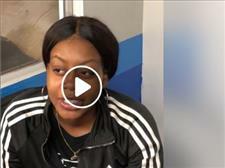 On August 24th, Nichele came into our store looking for a resonably priced family car that would get her to and from work on a daily basis. 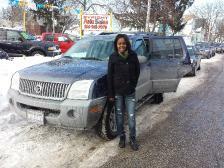 We like to keep a few Pacificas on the lot just for people like Nichele. 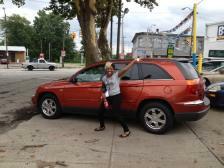 Well, we showed her the pacifica and she loved it right off the bat! It was exactly what she was looking for in a car. 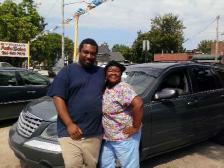 She was happy with our service and pricing on the car. It is, to my belief, that she was absolutely satisfied! 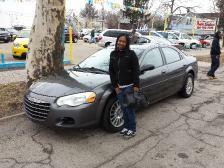 Thanks for your business Nichele! WE HAD A GREAT EXPERIENCE HERE AT BYRIGHT WE FELT VERY COMFORTABLE. REALLY FAST WITH THE SERVICES. VERY HONEST GUYS HERE... WE WILL BE TELLING ALL OUR FAMILY AND FRIENDS ABOUT THIS!! 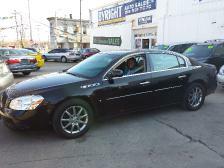 Robert's research lead to him Byright Auto Sales and he took home this low mile 2007 CTS. 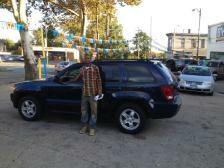 Jasime stopped in on July 27th to get a reliable, cost - effective, SUV. 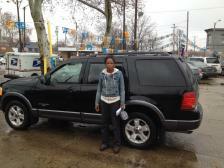 Well, she found one in one of our most common SUV's on our lot. A 2006 Pacifica Touring. 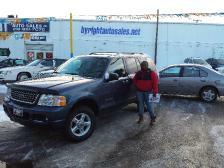 These SUV's sell like wild fire! Perfect match for a sharp - looking, reliable car, as I stated earlier. 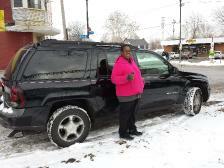 She was very pleased with the price and financing on her new ride. 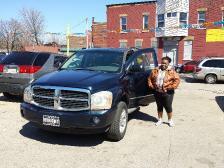 Thanks Jasmine for your business!! 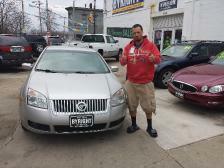 ON A SNOWY DAY ON MY WAY HOME MY CAR BROKE DOWN A BLOCK AWAY FROM BYRIGHT AUTO SALES, I WALKED IN AND TOLD JIMI MY SITUATION ABOUT MY CAR AND TOLD HIM THAT I ONLY HAD 700 AND COULDNT AFFORD ANYMORE SO HE AND SAM TALKED AND GOT ME RIGHT IN TO MY NEW TRUCK WITH A LOW DOWN PAYMENT AND AFFORDABLE CAR INSURANCE. I WAS TREATED GREAT AND WASNT HERE FOR LONG AT ALL. THIS WAS TRULY A GREAT EXPERIENCE. 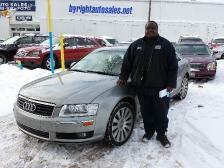 THE SERVICE WAS VERY FRIENDLY AND PROFESSIONAL JIMI WAS VERY HELPFUL AND IF ANYONE IS LOOKING FOR A GREAT CAR BUYING EXPERIENCE I RECOMMEND YOU TO COME TO BYRIGHT AUTO SALES! THATS WHAT'S UP!! 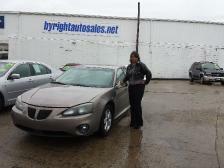 Used www.byrightautosales.net to get pre approved on Tuesday and drove home Wednesday with her new car. Was refered to Byright and now he will refer Byright Auto Sales to all of his friends and family. 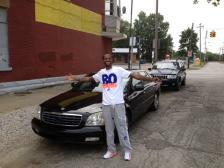 He got a great car for a great price. Extremely helpful, I drove off in a vehicle same day, and in a timely manner. the customer service was superb. I would recommend this company to anyone. Great experience! 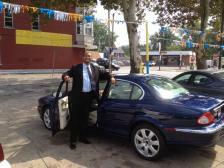 Very good dealership, fast service, EXTREMELY friendly and has very nice cars!! 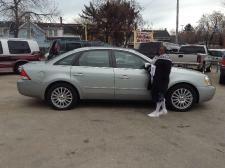 I got an beautiful and dependable 04 AUDI QUTRO A8L from them if your looking 4 a car or truck check them out !!! Just want to stop by and say thanks so much to Sam and Scott for taking the time to make sure I was satisfied with the purchase of my truck. They were courtesy and understanding to my needs. I walked in undecided and left very happy. Thanks again for a great experience. 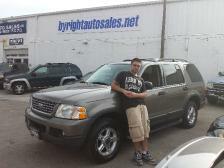 Hi my name is Justin Huff and this is the second vehicle I have purchased from Byright Auto Sales. The people here are great they do everything they can to put you in a car. I cant see my self going any where else. I thank Byright for every thing. 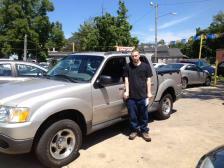 This gentleman came in on July 26th to purchase a sporty and comfortable truck to his liking. 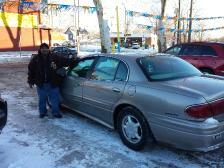 He was very pleased on his purchase and he believes he got a very generous price on it. 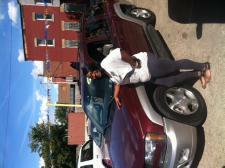 Thanks Kevin for your business!! 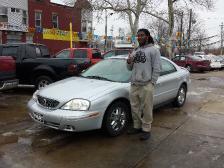 This was a great place to buy my first car all on my own. Every friendly people and nice place help mw get everything I needed to get down. I loved it. THE CUSTOMER SERVICE WAS GREAT I WOULD RECOMMEND FRIENDS AND FAMILY TO BUY HERE THANKS FOR YOUR KINDNESS AND HIOSPITALITY. My purchase here was great! Scott is a very helpful salesmen and Sam is the best finance manager ever. If he cant get you bought, nobody can! Thanks for everything. 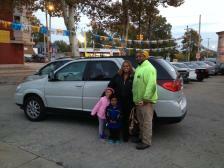 After shopping around Sharina found our Town and Country Touring van a great vehicle for her family. Two DVD screens, all leathered up, gorgeous van. 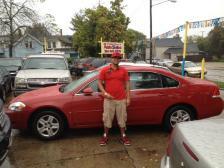 NICE CAR LOT, GOOD CARS, GREAT COSTUMER SERVICE, HAPPY CUSTOMER!! Thanks to Sam and Scott for an excellent experience! I would recommend without hesitation. 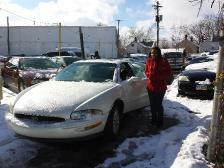 This is the second car I have purchased from Byright Auto Sales. I promised the salesman Scott I would be back. Scott and Sam got me in the best car on the lot!!! Thanks again Byright!! JIMI'S CUSTOMER SERVICE WAS GREAT. HAD A GOOD EXPIERNCE. VERY SATISFIED. I WOULD LIKE TO THANK EVERYONE AT BYRIGHT FOR THERE HONESTY, GREAT CUSTOMER SERVICE AND FOR HELPING ME FINDING THE BEST DEAL IT WAS GREATLY APPRECIATED. I WOULD RECOMMEND COMING HERE TO MY FRIENDS FOR SURE!! Great car! 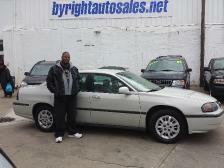 Looked high and low and found the best options here at Byright Auto Sales. VERY HAPPY WITH JIMI'S CUSTOMER SERVICE, EXELNT EXPERINCE HERE AT BYRIGHT! 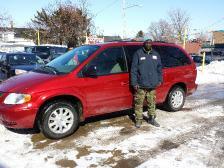 GOT ME RIGHT TO AN AFORDABLE AND RELYABLE VAN OF MY LIKING. 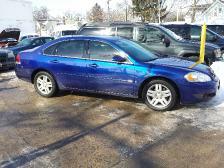 WOULD BE HAPPY TO REFERR THIS AUTO LOT TO FRIENDS AND FAMILY. AMAZING CUSTOMER SERVICE WITH SCOTTY AND ALL THE GUYS HERE. 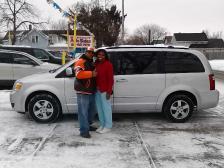 WE RECEIVED AN AWSOME DEAL ON OUR NEW VAN. 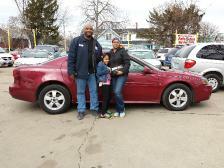 AND WE ARE VERY PROUD TO REFER FRIENDS AND FAMILY TO BYRIGHT AUTO SALES. Mark found his dream Jeep here at Byright. 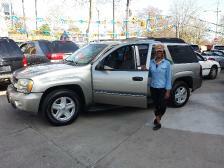 Great truck and easy purchase process! 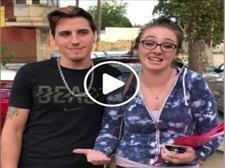 Toledo transplant, new to Cleveland. Found Byright and a beautiful 300. 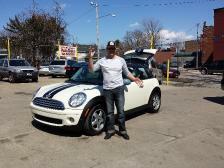 SCOTTY HOOKED UP ANOTHER BUY HERE-PAY HERE!!! 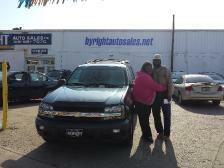 I WANT TO SAY THANK YOU FOR ALL YOUR HELP BYRIGHT AUTO! I WALKED IN AND DROVE OUT. AND WE CANT BELIVE HOW FRIENDLY EVERYONE HAS BEEN THANK YOU SCOTTY. 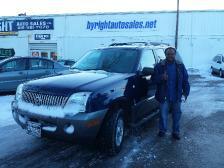 MY EXPERINCE HERE AT BYRIGHT AUTO WITH JIMI WAS VERY PLEASENT. 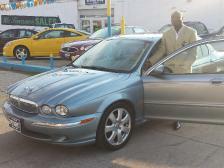 WALKED IN AND DROVE OFF WITH A SAFE CHEAP CAR. 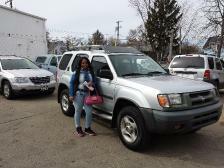 Yasmin's family did here recon for her, they scoured the city looking for the right deal on the right car, they found it here at Byright. 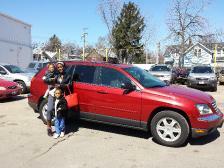 THIS CAR LOT WAS A DREAM COME TRUE FOR MY FAMILY, WE WERE IN NEED OF AN EXTRA CAR, THE SALES MEN JIMI AND SAM WAS VERY HELPFULL WITH MAKING THIS HAPPEN FOR US. I WOULD RECOMMEND THIS CAR LOT TO ALL MY FRIENDS AND FAMILY. 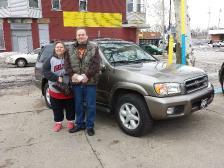 I ADRIENNE BLEVINS HAD A AWESOME EXPERIENCE AT BYRIGHT AUTO SALES SCOTTY WAS A GREAT HELP AND SUCESSFUL HELPED ME ALL THE TIME I SPENT HEAR IT FEELS LIKE FAMILY. 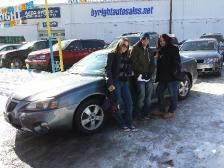 I LOVE YOU GUYS THANKS FOR ALL YOUR HELP BYRIGHT AUTO SALES! MY OVER ALL EXPRERIENCE WITH BUYING A CAR HERE AT BYRIGHT WENT VERY WELL. THE SALES MAN GARY WAS GOOD AT HIS JOB,. THANKS GUYS!! Great car, great price. Referred by a previous customer, spread the word. Live in the neighborhood and saw all the nice cars as we drove by. Came in and the process was seamless and simple. WE LOVE BYRIGHT!! SCOTT IS WONDERFUL. 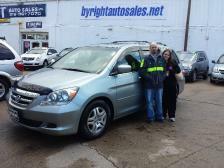 THIS IS OUR SECOND PURCHASE AND WE'LL DEFINITELY BE REFERRING FRIENDS AND FAMILY TO BYRIGHT AUTO SALES. THANKS GUYS. 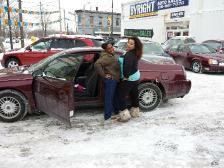 Eva took her sister's advice and also purchased a vehicle from Byright Auto Sales. 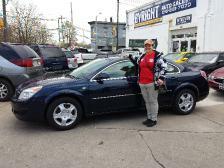 Eva was extremely happy today when she drove her 2006 Mercury Montego off the lot and will recommend Byright Auto Sales to everyone she knows. Brittany was out car shopping with her father over the weekend and stopped in to look at the great selection of vehicles at Byright Auto Sales. 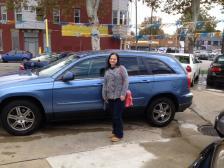 Three days later Brittany returned to purchase a vehicle for herself and she now is the owner of a beautiful 2008 Taurus X.
Walter was referred to Byright Auto Sales by his co-worker, Eva, who purchased a vehicle from us last month. 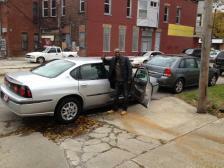 Today Walter bought himself an early Christmas gift and drove off the lot in a beautiful Nissan Maxima. He said he was definitely glad he took Eva's advice and stopped in. 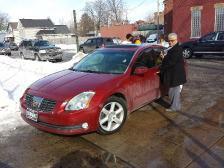 At Byright Auto Sales we are proud of the quality used cars we sell and our dedication to serve the needs of our customers. This is reflected in the amount of repeat business we receive. Whether this is your first purchase with us or one of many that you’ve had, you can count on our dedicated sales staff to make it the best buying experience possible. 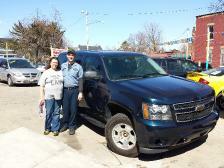 I WAS EXCITED TO PURCHASE MY NEW TRUCK FROM SCOTTY HERE AT BYRIGHT TODAY!! HIS CUSTOMER SERVICE WAS GREAT AND I'D BE PROUD TO REFER FRIENDS AND FAMILY HERE. Excellent customer service. great friendly employees. 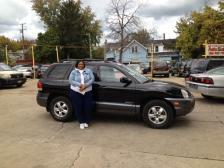 Jimi really helped me out on choosing a car. I am a very satisfied customer. MY EXPERIENCE HERE AT BYRIGHT WITH SCOTTY WAS GREAT. AWESOME CUSTOMER SERVICE, VERY PATIENT WITH MY INSURANCE. 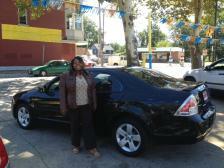 AND HE PUT ME RIGHT IN TO CAR OF MY LIKING WITH GOOD AND AFFORDABLE PAYMENTS! 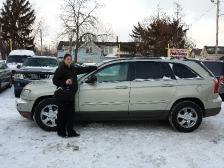 I WANT TO THANK SCOTT FOR MAKINGN MY CAR EXPERIENCE THE BEST EVER. SCOTT IS A MAN TO HIS WORD. I'M GOING TO REFER FRIENDS AND FAMILY TO BYRIGHT IN THE FUTURE. THANK YOU SCOTT!!!!!!!!!!!!!!! 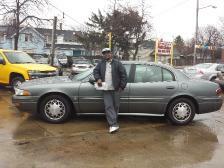 I HAD A GREAT EXPERIENCE WITH THEM, THEY MADE SURE THAT I KNEW WHAT WAS GOING ON WITH THE CAR AND MADE SURE THEY FIXED IT FOR ME. I THINK OVER ALL IT WAS A GREAT EXPERIENCE! I THINK THEY'RE GREAT HERE AT BYRIGHT AUTO SALES! AND GARY REALLY A GREAT SALES MAN. I'M LOOKING FORWARD TO SEEING THEM IN THE NEAR FUTURE.... THANK YOU! !